The award-winning LowPro 15/10 Safe Cover has patented Flexi-Edge technology. 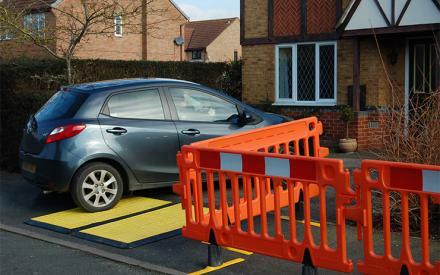 This driveway board is designed for 3.5 tonne vehicles over a 900mm trench. Made of a light and strong composite material, the LowPro is an innovative alternative to steel plates. 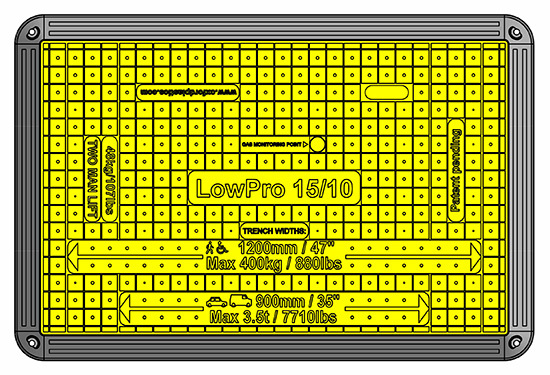 Lighter than steel plates and stronger than wooden boards, the LowPro is a safe and easy solution. The anti-slide technology, on the underside and edges of the LowPro, is made from a soft, flexible, rubber material. It grips the surface to reduce unwanted movement. Rubber edges can be replaced to extend the life of your LowPro. The LowPro 15/10 complies with AS3996. It does not need to be bolted into place, reducing installation time. This LowPro is a lightweight and easy-to-handle alternative to the steel plate. 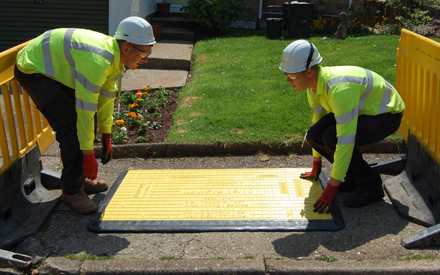 This trench cover is installed in seconds with an easy 2 person lift, with no need for specialist lifting equipment. The LowPro 15/10 was awarded the Future Street Works Award by the British Joint Utilities Group in 2017, Street Works UK. 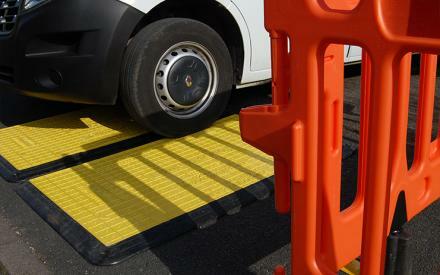 This product solves a prevalent issue by providing residents access to their home during utility works. Oxford Plastics worked alongside major Utilities and contractors throughout the design process of this LowPro, which is now used all over the world.